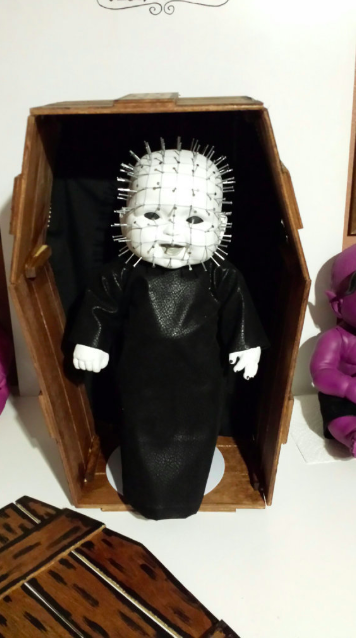 This Baby Pinhead Doll Will Warm Your heart as he tears your soul apart. 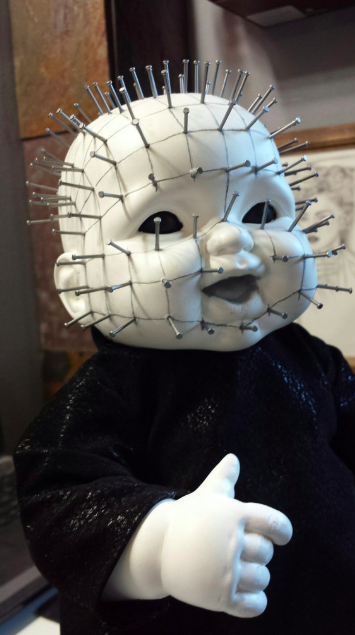 Even monsters had to start off somewhere, and what better origin for the demonic Cenobite Pinhead than his child-self! I love this little guy and I might have to pick up one myself! To grab yours, either get your hand on a Lemarchand Cube or just go to the Etsy store.